At seventy-three, eccentric widow Clara Breckenridge is on a last-ditch journey to reconcile with her estranged son, finally confront the guilty secrets surrounding her daughter's death, and maybe find love again before she dies miserable and alone. But Clara is her own worst enemy. Rigid and afraid of change, she has cocooned herself in her old house to escape from life. Magic purple wasps saved her as a child from an abusive father and they want to help her now, but wasps only live 120 days. Clara's time is running out. When her beloved house is slated for demolition, she panics and persuades her son to haul the house from Eugene to Jackpot, Nevada, where Clara's life is turned upside down by two troubled young people. Can the rowdy purple wasp, a spirit guide with surprising powers, help Clara confront her past and join life again or is it too late? 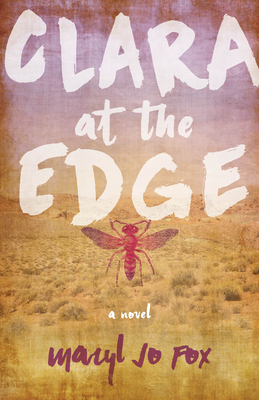 Clara at the Edge is imaginative, eventful, sometimes funny and deeply moving.